YouTube star Raymond Braun joins the team. 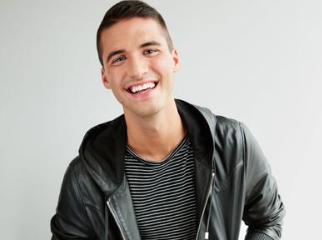 Seventeen has named YouTube star Raymond Braun LGBTQ contributing editor for Seventeen.com. Braun, who is gay, will contribute monthly blogs and vlogs for the site, covering everything from dating to activism. Everything crashed down towards the end of my freshman year after I ‘broke up’ with my fake girlfriend. I was hanging out with a group of my freshman guy friends when a senior came in the room and said he was going to set us all up on dates. He called one of his popular female friends on speakerphone and didn’t tell her he was with all of us. They then proceeded to discuss potential matches. When they got to my name, I could hear my heart beating in my ears. The words hit me like a cold slap in the face. I acted surprised and offended, what I assumed any straight guy would do, but I’m sure everyone noticed that my face was flushing deeper shades of red. I started to sweat and found an excuse to leave the room. That night, I cried myself to sleep. After all my hard work, I still couldn’t hide myself.